For all the hype, both negative and positive, Shanghai felt surprisingly livable. My host's sixteenth floor apartment (sleek, modern and full of natural light) looked out, on the one side, to the modest park that sat between our building and the other tall structures that comprised the residential complex, and West Beijing Road on the other. On a clear day one could theoretically see all the way out towards the famous Pearl Tower, an architectural abomination that nonetheless draws tourists like flies to rotting flesh but, while I was there, heavy smog hovered in the air like a curtain. Similar to Singapore, Shanghai bears the mark of colonialism with elegance, proudly displaying gorgeous, well-preserved buildings and foreign compounds. My favorite snapshot of the city was walking around the Bund at night, with the old European-style buildings illuminated behind me, and looking across the river to the flashy skyscrapers opposite. Just thirty years ago, that area was just farmland. But at the same time, elements of modernity and new wealth abound. 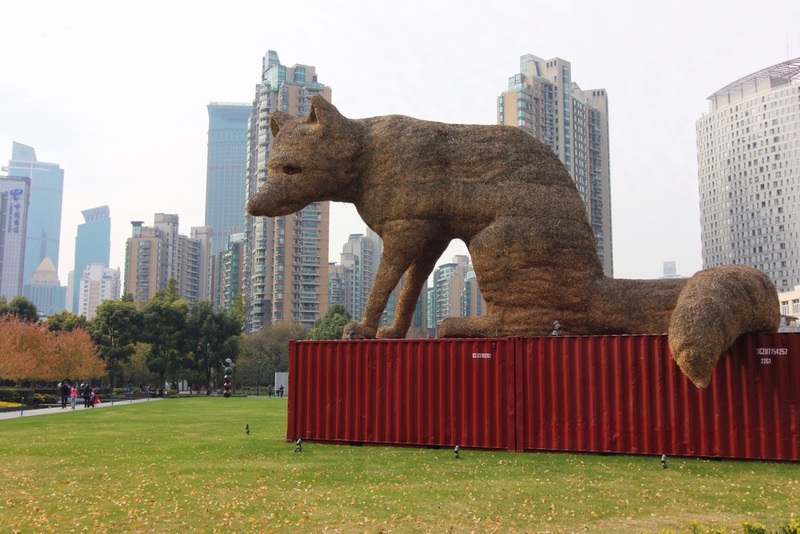 Near our apartment, the Jing'an Sculpture Park featured avant-garde installations that, against a backdrop of skyscrapers, achieved a pleasant harmony. 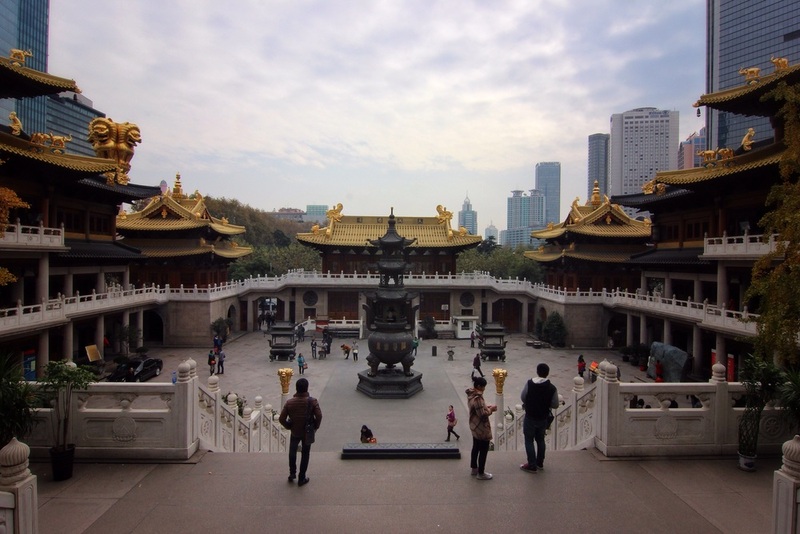 Slightly further in the opposite direction, the revamped Jing'an Temple glittered with hefty donations from the nouveau riche. (And quite literally at that - it looked as though a giant had held the building by its foundation and dipped it in molten gold). The temple was perhaps blasphemously opulent for a Buddhist place of worship, but in the context of the neighborhood's contemporary identity - a consumer's mecca of designer shops, it made sense. It would be easy to write Shanghai off as culturally sterile, since after all some of the biggest attractions are commercialized pedestrian areas selling cheap trinkets and knock-offs. Not to mention that the majority of the city's inhabitants are foreigners. But beneath the glitzy Times Square ambiance, Shanghai does have its quirks - old buildings that developers won't touch because they believe they're haunted; the nation's largest collection of vintage propaganda posters displayed in the basement of an apartment complex; trendy (by my SF standards) bars next door to hole-in-the-wall family restaurants. Complicated, enigmatic and timeless, Shanghai is the sort of place that begs for a return visit.